The Karrimor Global Equator 40 is a backpack, a sling travel bag and a trolley travel roller bag all in one! Even among ultralight suitcases it is incredibly light at 2.55kg. This travel case is perfect for weekend trips and short breaks as it’s designed with a main zip compartment and internal pockets offering a generous amount storage space. The first time I used it was on a weekend trip just outside the city and it easily served its purpose but I was also curious to see how it would handle airport baggage handlers and a much bigger load. So, just over a week ago I took it on a seven night trip to Cuba and I was really impressed with it. 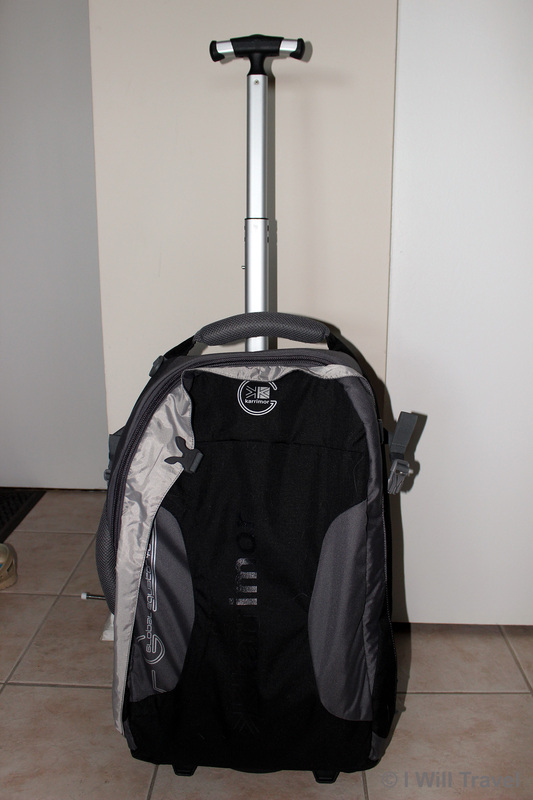 I found it to be a good travel companion as it rolled easily but was also very easy to carry as a backpack. 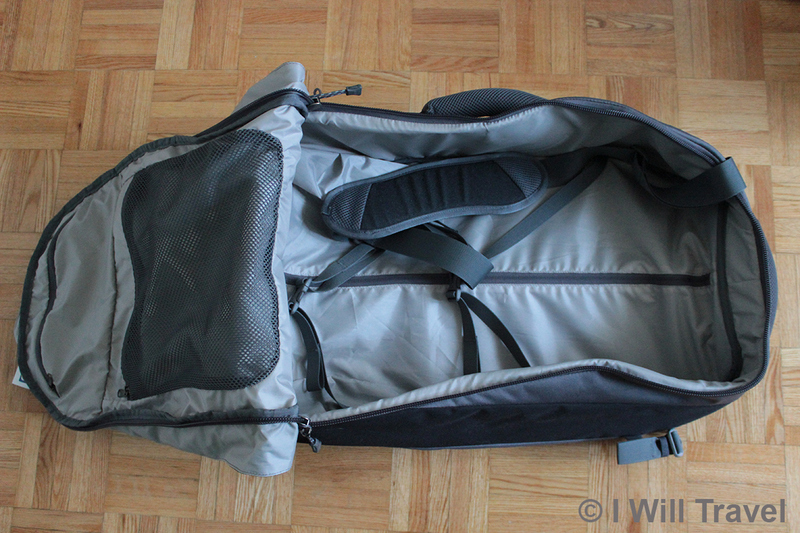 What I really liked about it was that unlike most light duffel bags with wheels it offers some structural integrity. The interior is simple but it includes netted pockets. This Karrimor wheeled suitcase also benefits from an extendable handle at the top, with internal and external compression straps to hold your possessions securely in transit. Keep in mind that if you are planning on using it as checked baggage you won’t get as much protection as you would from a heavier suitcase but the bag still feels sturdy enough to check-in confidently (I did), and if you’re primarily a carry-on traveler then you don’t have to worry about this bag suffering the wrath of baggage handlers. I would also like to point out that this is accepted as hand luggage by most airlines but as always check with your airline just to be safe. – Colour Options: Black/Pewter only. – Price: RSP:£114.99/RM604.00. Our price: RM449.00 only! Final Verdict: A great buy, particularly for carry-on travelers, anyone who doesn’t like lifting extra weight and weekend breakers. — Reviews are based on usefulness, portability, durability, value. Products are sent to us free of charge and with no incentive to offer a favorable review. We offer our unbiased opinions, positive and negative. Best Suitcase I’ve ever had! It ‘s light perfect size and it fits a lot!